My voice is muted but every feature of my face speaks sorrow and anger. There is no need to wonder why. It’s Palestine, the rich land where smiles can turn to tears and laughs can turn to sighs in a second. It’s Palestine, where series of sad stories mixed with strength, will, and glory never end. Anees and Akram Al-Namoura are brothers who were released in the first stage of the prisoner exchange on October 18 after spending ten years, originally supposed to be two life sentences, in prison. They joined the resistance by the beginning of the second Intifada, answering the call of their occupied lands and oppressed people to defend them, ready to pay any price that their precious homeland, Palestine, would require. 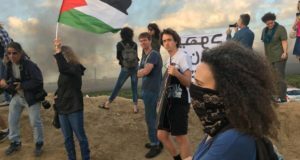 While Israel was aggressively and continuously attacking, killing, wounding, and detaining Palestinian citizens, the brothers took to arms against the occupying army hoping for a better future for their family, their neighbors and their community. 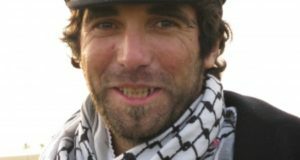 They planted a bomb beneath an Israeli tank, killing two Israeli soldiers. Anees and Akram couldn’t enjoy the blessing of kissing and hugging their elderly parents even after they gained their freedom. Israel imposed a separation of a different kind on them as they were exiled from Hebron to the Gaza Strip. But this was only additional pain from a wound that was already existed, as their 80-year-old father, a cancer patient in a wheelchair, and 65-year-old sick mother weren’t allowed to visit their detained sons for more than three years. When I Googled Anees and Akram’s names, I encountered a video of their parents from a year ago. 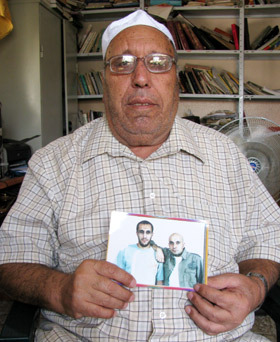 They were interviewed about how it felt having sons in the Israeli tyrants’ prisons. “How can an old man like me, sick with cancer, threaten Israeli security?” their father wondered with a shaking voice full of sadness. “I collected all papers that explain my health situation, which is getting worse, and tried every possible way to meet my sons again before I die.” After watching the video, I smiled despite my sadness, thinking of how merciful God is: Anees and Akram’s father is still alive and has witnessed his sons attaining freedom. 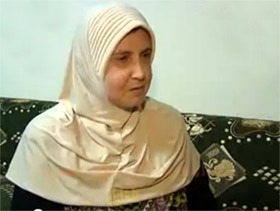 In the same video, their mother, with expressive wrinkles that evoked long years of suffering, said, “I only wish I could sit on their beds, as I used to when they were young, and play with their hair while their heads lie on my knees.” The father challenged his disability by joining his sick wife and one of his daughters in a trip to the Gaza Strip to meet their sons only six days ago. This trip couldn’t happen earlier, as their permission to leave through Jordan was denied by Israel, and they obviously couldn’t come here through the Erez border for “security reasons.” However, if there is a will, there is a way. They eventually overcame all obstacles and made it here. Six days ago, I heard Mum speaking cheerfully to Dad about the arrival of Anees and Akram’s parents and sister safely. Today, I saw Mum’s tears for the death of their mother, who had waited long to hug her sons and celebrate their freedom. “Oh Allah, her destiny was to live and not die before she enjoyed seeing and hugging her sons between her arms once again,” Mum said with tearful eyes as she entered our home after the funeral. After ten long years of waiting, with worry, sadness, suffering, and humiliation between checkpoints as she tried to visit her imprisoned sons, she lived six days with them before passing away, leaving us a real legend, a symbol of patience, challenge, and motherhood.